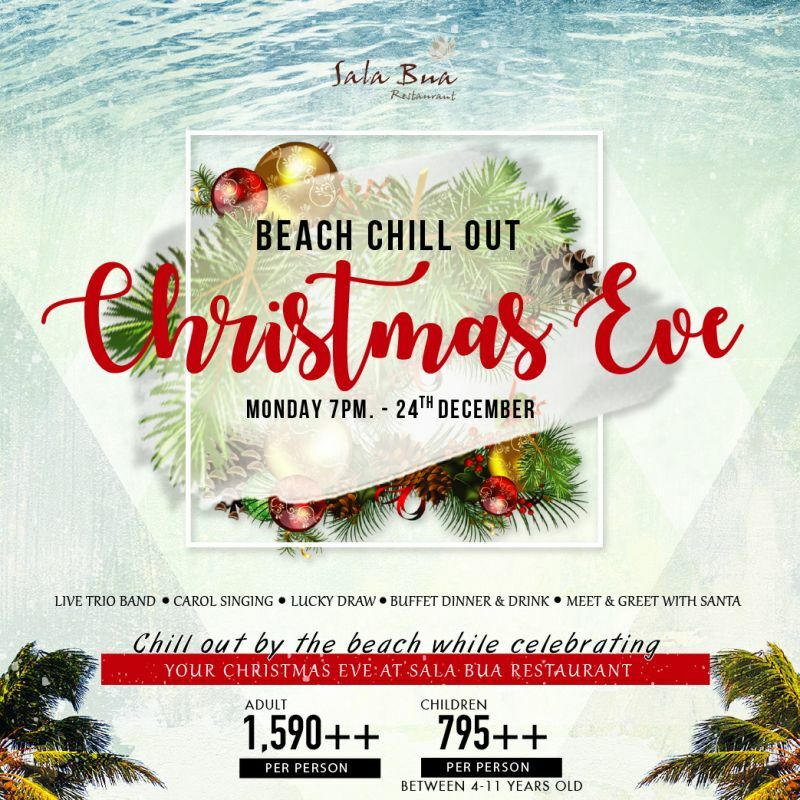 Chill out by the beach, breath the sea breeze and enjoy the sunset views, while celebrating your Christmas Eve on beach sand at Sala Bua restaurant in Patong. Meet&greet with Santa, enchanted with Christmas song for a truly magical evening. Live trio band and special entertainment will make this night more extraordinary. At the variety of buffet dinner, you will enjoy authentic cuisine and Christmas dishes and drink, created for the occasion. Impiana Resort Patong is the perfect choice for Christmas celebrations with your family, friends and loved ones.